The California Civil Code has an extensive pre-lawsuit set of procedures for a homeowner to follow to have their homebuilder make repairs. 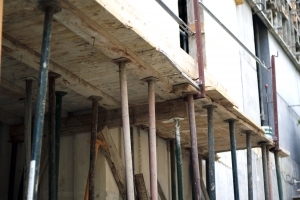 The builder can opt-out and provide his own pre-suit procedures; a recent court decision shows how risky that can be. First the procedures- starting at Civil Code section 910, they provide that the owner must make a written claim of violation of construction standards on the builder, who has 30 days to respond. The builder can inspect the property, and offer in writing to repair. The owner can accept or not accept the offer to repair, and demand a mediation. If this process is not successful, or if the builder does not respond within the time limits in the code, the homeowner may file a lawsuit. The goal is to provide a non adversarial framework to resolve the problems before people get too emotionally entrenched in the dispute, so it can only be resolved by a judge. In Anders v Meritage Homes, the Stanislaus County plaintiffs sued the builder for construction defects. In the sales contract the builder had taken advantage of a provision in the civil code section 914 that allows them to opt-out of the statutory procedure, and use their own selected procedure. At the time of sale, this election is binding on the builder. However, the court found that the builder’s own procedures were unenforceable- they could not require the owners to follow them. So, the builder said, we must then use the statutory procedure. Looks like the builder wanted to avoid court. It was not clear from the opinion why the builder’s procedures were unenforceable, but to this real estate attorney it looks like the builder created a procedure to fit its customer service program, rather that allow their program to fit into the statutory procedure.